Similar falsehoods being used by BC-based anti-aquaculture lobby in campaign to attack salmon farmers. 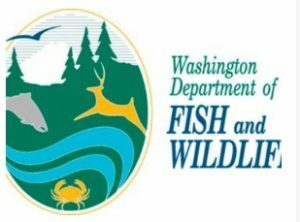 The Washington Department of Fish and Wildlife (WDFW) has joined a growing chorus of condemnation against the lies being spread by the anti-fish farm lobby about the salmon aquaculture industry. The agency in a statement said the Wild Fish Conservancy (WFC), whose objectives are aligned with anti-fish farming activists in British Columbia, misuses scientific literature to exaggerate risks to native salmon. “WFC repeatedly makes statements that appear to be based on science by citing published scientific papers in defense of their statements; but in many, perhaps most cases the published papers do not support their statements,” the agency said. March 19, 2018 in News.